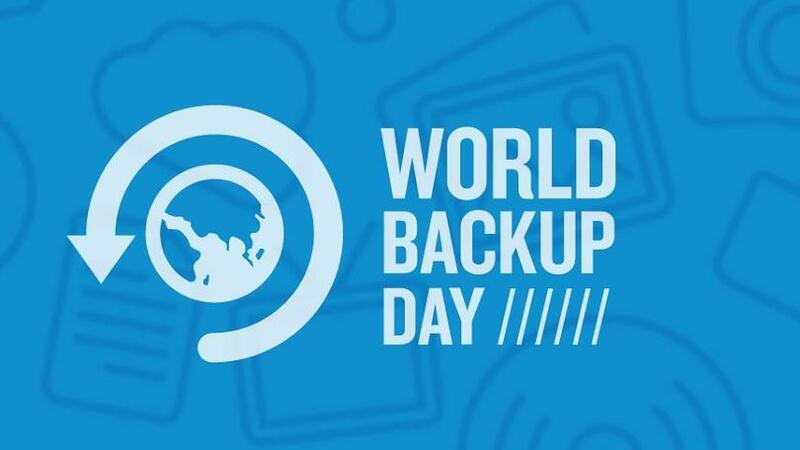 Singapore, March 29, 2019 – As April approaches, consumers and businesses should reflect on the unexpected cybersecurity lessons World Backup Day (March 31) and April Fools’ Day can teach. People and organisations working, sharing, and storing information on home or workplace networks should use these events as a prompt to check their data privacy practices and cybersecurity hygiene, according to ESET. Increasingly, organisations and individuals are falling prey to phishing scams and fraud. Far from a light-hearted April Fools’ joke, these ploys trick many users into handing over sensitive information. Hackers are becoming more skilled at duping us, and stealing both information and money. According to the Singapore Police Force (SPF), people aged 65 and above were cheated of S$88,000 from January to September last year. These scams typically come by way of SMSes or WhatsApp messages. If we are extra vigilant to not fall for pranks on April Fools’ Day, we can exercise the same caution the other 364 says of the year. Consumers, employees, and businesses are also succumbing to various forms of hacking attacks. Data from business files to personal finances can be breached when cybercriminals gain access to home or workplace networks. This can occur as users click spam messages that provide hackers with a gateway into the system, or as a result of brute force attacks. According to Indian Computer Emergency Response Team (CERT-In), over 22,000 Indian websites, including 114 government websites, were hacked from between April 2017 and January 2018. Nick FitzGerald, senior research fellow, ESET, said, “The increasing rate and danger of hacking attempts means users need to exercise enhanced caution to protect themselves. Organisations should educate employees on how to identify suspicious emails and other activity, and both businesses and individuals should always back up their data. USB flash drives:Saving data on a USB drive can help users keep information safe. Users saving payment data, personal documents or photographs can split data between several USB drives, so data is organised and easy to find. And, best practice is to save projects to two USB drives stored in different locations so the project won’t be lost if one is misplaced. External hard drives:Similar to USB drives, external hard drives can help users back up data outside of their computers, ensuring information is duplicated in a safe place. External hard drives are handy because they can cater to large-scale jobs and files. ESET again recommends saving files to two separate devices or also using an alternative backup method, as external hard drives can succumb to power surges, physical damage, loss or malware. Network attached storage (NAS):Organisations with large amounts of data should consider this option. It backs up data automatically, so organisations don’t need to manually select data they want stored. However, as more homes gain multiple computers and devices, NAS can also cater to the domestic space. Time Machine:Time Machine can back up a Mac to an external hard drive or NAS automatically. This keeps backups hourly for the previous 24 hours, daily for the last month, and then weekly until the device is full. Cloud storage: While network attached storage is essentially a private cloud server, there are plenty of third-party cloud storage options: free; paid; or free with paid extras. iCloud, Dropbox, Google Drive and OneDrive are big names, but others are available. ESET encourages individuals and organisations considering cloud storage to research the best cloud options and providers for their needs. Again, cloud storage is best complemented by USB or external hard drive data backups, because cloud services can sometimes fall victim to security breaches, and cloud providers aren’t obliged to provide these services forever. This might resonate with past MySpace users, after the site lost 50 million music files, uploaded between 2003 and 2015, with no backups available.